In this example I have created custom fields ‘front_page‘ checkbox and retrieve the post based on that using wp_query. Based on that checkbox values and the category ‘courses‘ I need display the post on the home page.For that I am filtering the data from the database using the following query (wp_query).Here I am also sorting the filtered post based on the sort attribute. 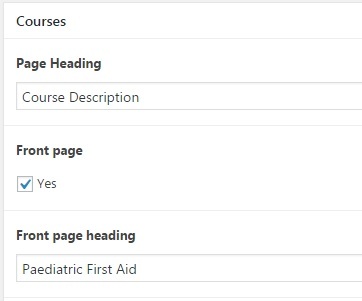 The above query will select all the post belongs to the course category and the front_page checkbox checked. For displaying the post on the homepage please loop through the result as shown below. Please leave a reply if you have any further queries.